Thought if I put photos together on here it might be easier to compare. Think I’ve got the names right now! 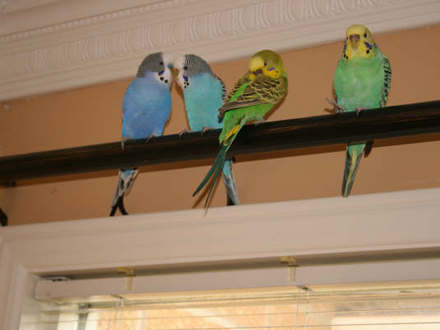 From left to right it is Jackie (only male), Julie, Coco, Buddy. 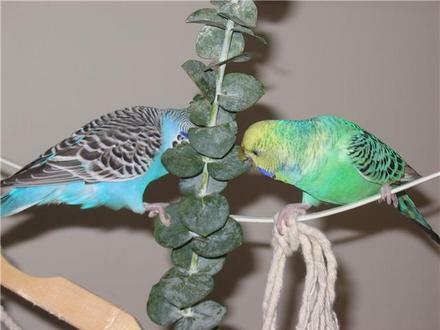 These last two birds are Julie and Buddy. He was wondering also if it was Buddy that we found (also a female) but I think it looks more like Coco. 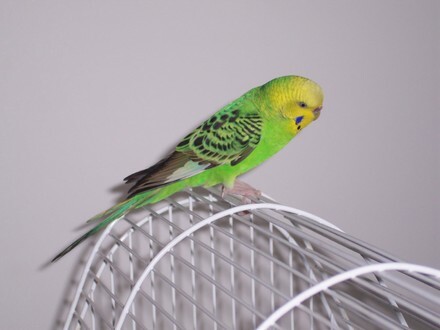 Don’t know about anyone else, but I’m getting screwy eyed trying to check out budgie details! Previous post: Gardening Helps Keep Me Sane! The unique identity mark seems to be the black spots under the blue mark. Last photo black sports are even and previous slightly differs. Ask Priscilla to turn the other cheek. 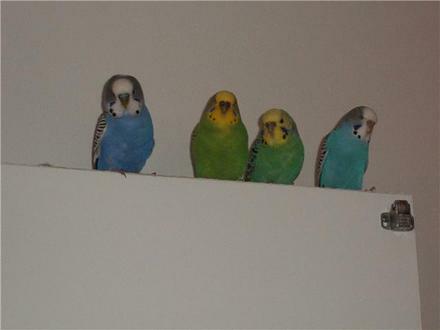 In the third photo down, where all four birds are in a row, Coco does not look well. I guess she could have just finished a moult. Few neck spots, and her eyes are closed as if she isn't feeling too fit. Coco is the only one of the four where the colours match up with Priscilla's in any way. Have you noticed that Priscilla has that light bluish section of feathers at outer edge of her wing, which Coco does not ? From these photos, I think that Coco and Priscilla are different birds. Yes, I noticed the paler section. It isn't always so noticeable on Priscilla, sometimes she seems to have her feathers tucked up tighter and it's harder to see. It would be useful to see a photo from them of a side view. 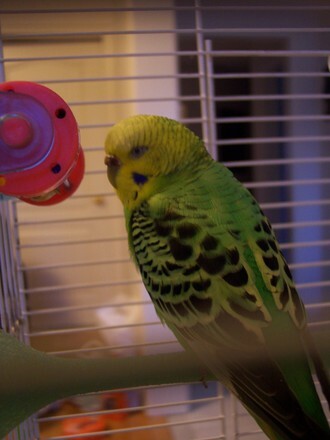 On the other hand, you can see paler feathers on Buddy. 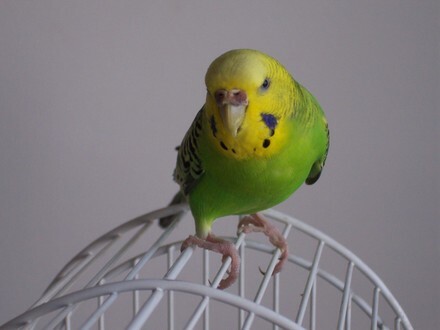 Would it be possible for a budgie to look greener after a moult when they are young? Anyway, better go to work! 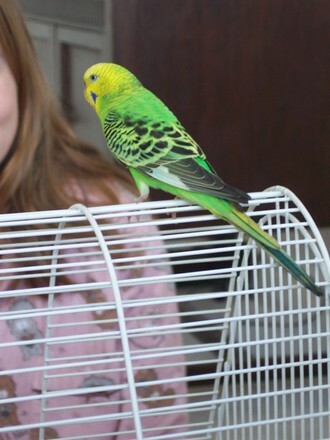 I'm meeting with the owner's of the lost budgies tomorrow and we are going to see what they think, Having emailed them and spoken to them on the 'phone a fair bit, I can tell they are total budgie enthusiasts and I trust them when they say they will be completely honest about whether it is their bird or not. Sometimes you just get a gut feeling that you are dealing with good, honest people. They have been extremely patient with all my requests for photos and information and sent me a bunch more tonight, one of which is the last one posted here. Sorry, added three more since the comment above! 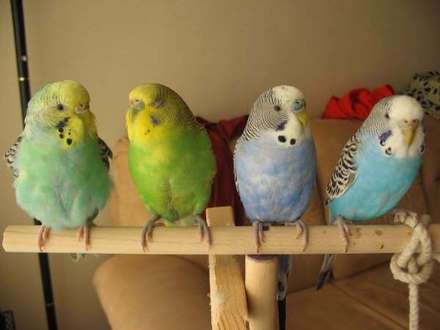 Sounds like you are dealing with lovely genuine budgie people. 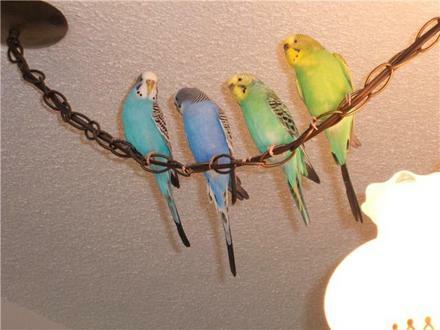 The fact that they have all these photos shows how much they care for their birds. 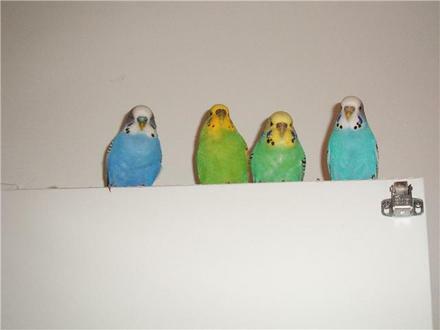 What wonderful new pictures of the four budgies. I'm disappointed that these are in a blog, which means sadly I can't put them on my favourites. 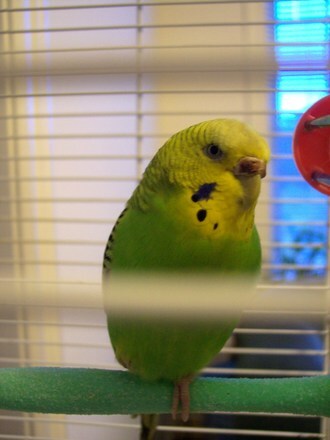 The owner has just been round and identified the bird as Buddy. He said the photos are hard to tell the exact colour from, that's why he wanted to see the bird. 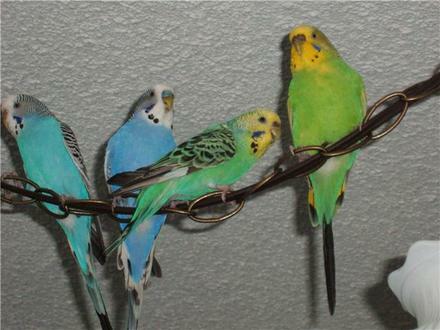 Buddy seemed to remember him and his budgie commands, and when he said "shoulder" to her, that's where she went and sat! He said that was her favourite place, to sit on his shoulder while he worked in his office. He told us she was a type one yellowhead bought from a breeder when young, that's why she was pretty well trained. I'm glad you've that sorted out and congratulations on reuniting Buddy and owner. The pale markings on the sides of the wings certainly match up much more with Buddy than with Coco.